The South American nation tried to live a currency lie in 2001. But even clever schemes could not stave off crisis. Fernando Fernandez of IE Business School argues that Greece is in a similar situation. Clever plans cannot save the country from an untrustworthy government. 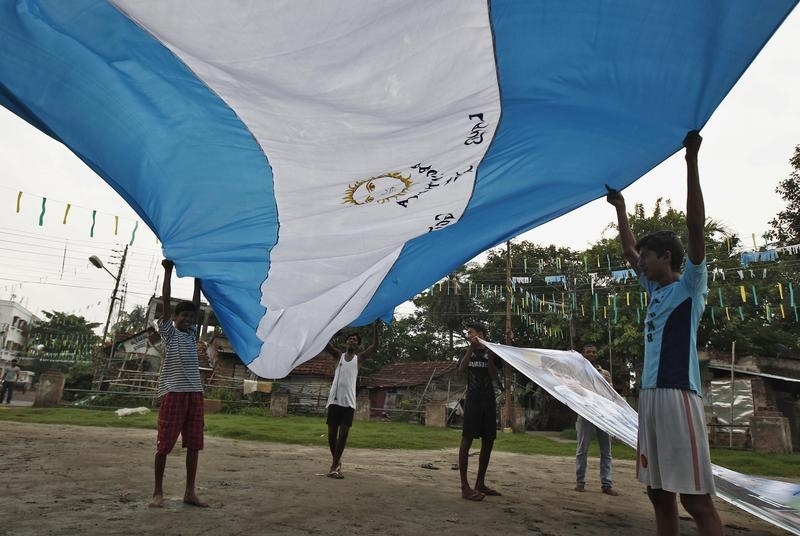 Fans of Argentina's soccer team carry a giant flag and a picture of Argentina's player Lionel Messi as they celebrate their team's win over Bosnia in the 2014 FIFA World Cup, in Kolkata June 16, 2014. Fernando Fernandez is a professor at IE Business School in Madrid.